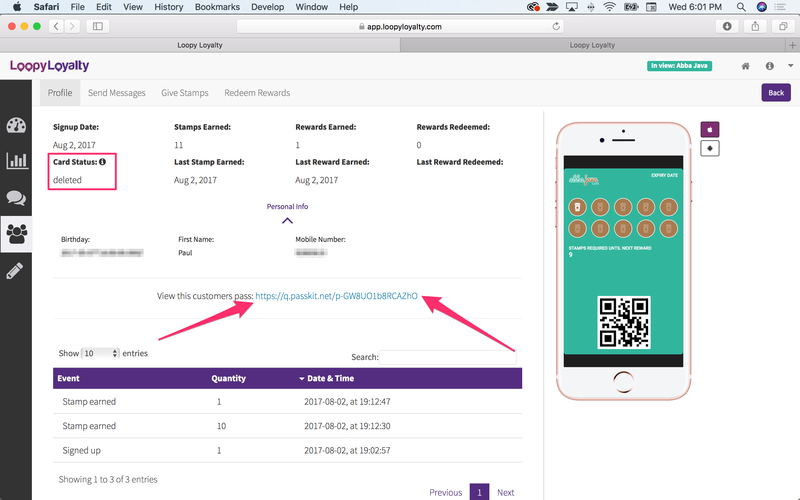 Unlike a paper stamp, with Loopy Loyalty, it's easy to give your customers their stamp card back - including the stamps and rewards they have already collected - if they lose their phone or accidentally delete the card. Step 1: Choose the card design that you want to manage. 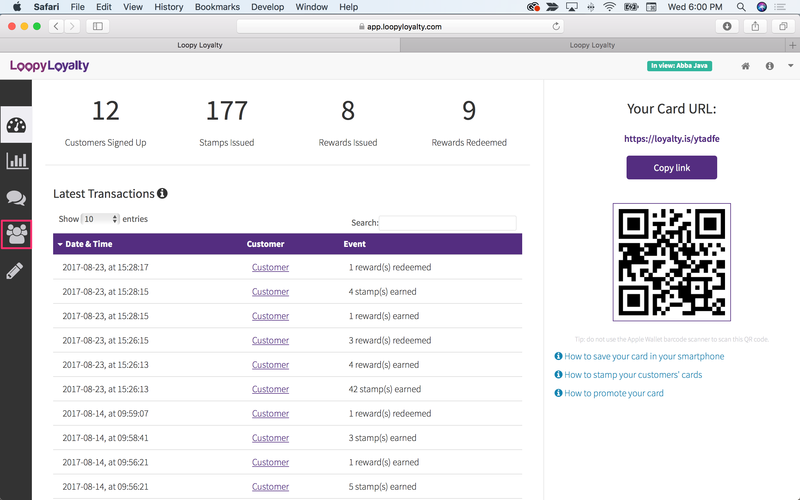 You can either do this from the Manage Card screen from your home page after login (image 1a), or click on the triangle in the top right corner of Loopy Loyalty from any screen (image 1b). From the overview page, select the 'Customers' view from the left hand side menu. It's the forth icon from the top as shown in image 2. Look in the card status column and you can see any customer than has deleted this digital stamp card. In this example, you can see Paul and Pablo have deleted their cards. We will go and get Paul's stamp card for him. To do that, click on 'Actions' as shown in image 3. 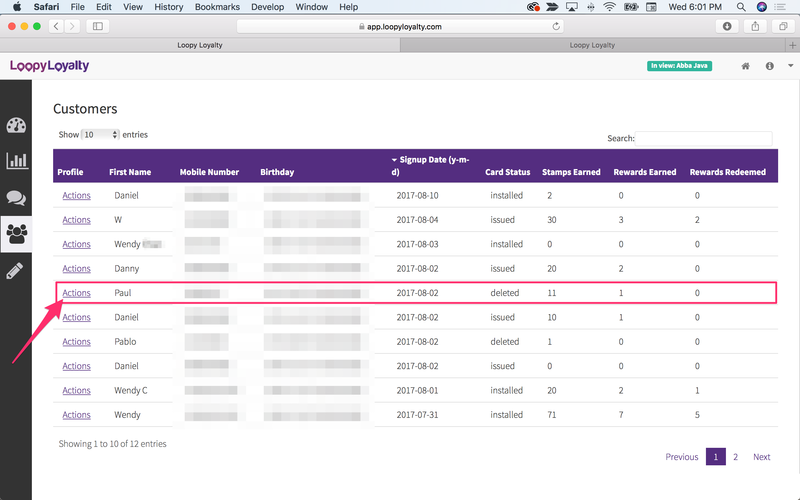 You can now view the customer record, including the card status that shows that the card has been deleted. This page also shows the unique reference link (URL) to their digital stamp card, as shown in image 4. Step 5: Share the link with your customer. You can now share this link with your customer. Be careful to copy and paste the link exactly as it appears on the screen. We recommend you copy and paste feature built into Windows or MacOSX. You can now send this to them via email (if you collected their email during sign up) or send it via SMS (if you collected their mobile number during sign up). 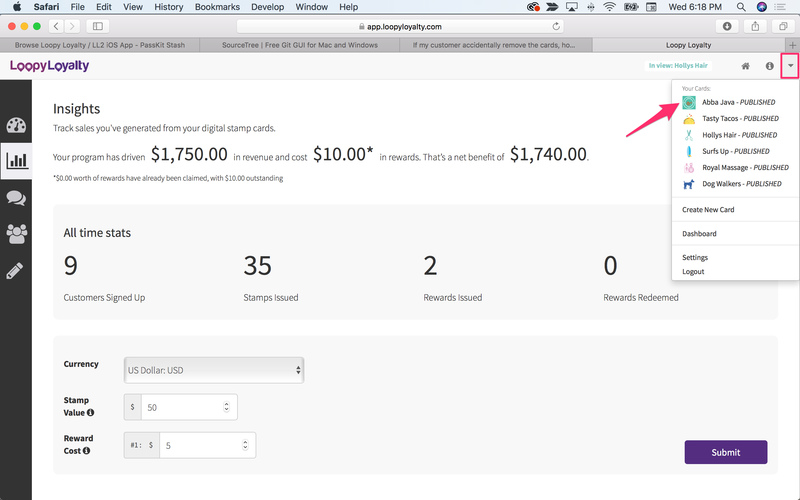 Important: This link should only be shared to the customer that deleted the card. As it will be an exact replica of the card they lost. i.e. you don't anyone else to get Paul's card and enjoy the rewards that he's collected over time. Alternatively, iIf the customer is in your store, you can click on the Unique Reference Link and open it in your browser. You will then be presented a QR code, as shown in Image 5. If the customer scans this QR code they will be presented with an exact replica of the card they deleted. 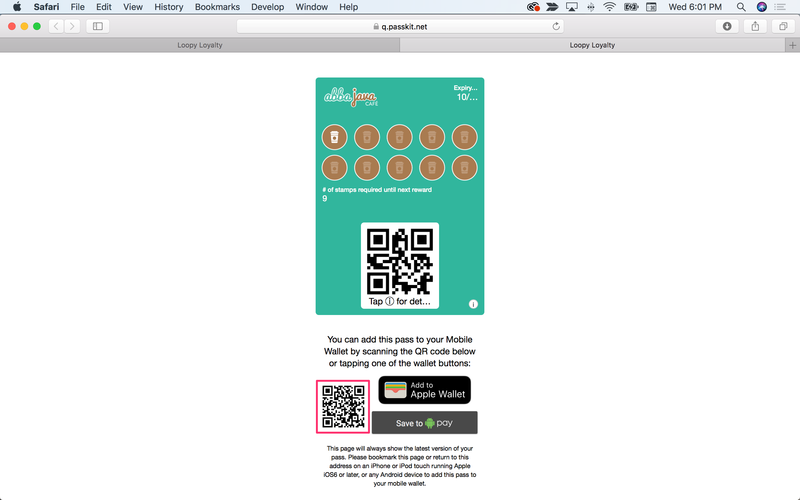 Make sure that your customer adds the card into their wallet application, as shown in Image 6. 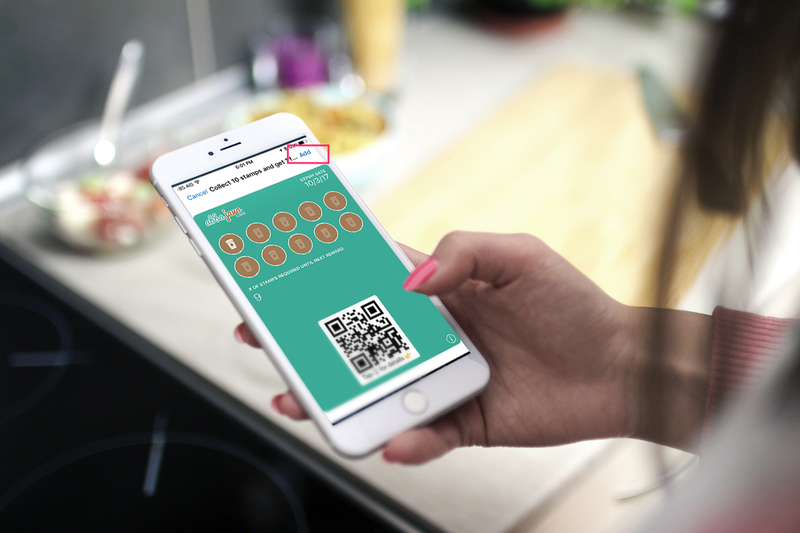 Your customer now has their digital stamp card back in their mobile wallet application. They will see exactly the same number of stamps and rewards they had collected before they deleted the card. They will also see the lock screen message when they are near to your location (assuming you added location(s) to your card). 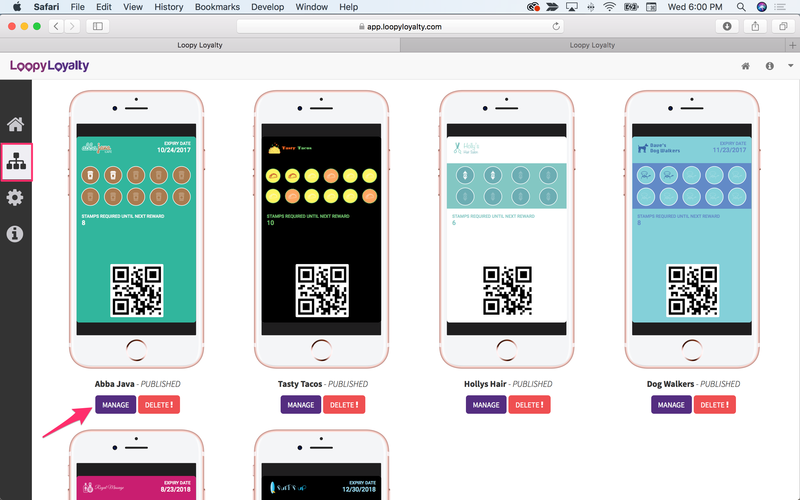 And you will now have the ability to, again, digitally stamp their card and send them useful, lock screen messages.